Practically every week, we learn of a new US city or county that is adopting or revisiting zoning code language on accessory dwelling units (ADUs). Some are thinking of allowing ADUs for the first time. Others are updating old ADU codes that were rarely, if ever, getting used. One way or another, jurisdictions across the country are responding to a groundswell of public sentiment in favor of this small, discreet, affordable, traditional, and environmentally friendly form of housing. Unfortunately, the ADU model codes most readily available (ie. AARP + APA, Massachusetts, Washington, Washington MSRC) are more tuned to the political process of getting adopted than to development and market realities. As Alan Durning from the Sightline Institute summarizes: in “most Cascadian cities … ADUs are legal but restricted to within an inch of their lives.” (ADUs and Don’ts: The gauntlet of rules that in-law and cottage units must run). 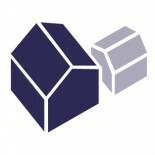 As editors of www.accessorydwellings.org, we’d like to offer a model zoning code that ensures ADUs are small and discreet, while also providing enough latitude in their creation that they actually get built. Commentary is provided in italics, along with some alternative clauses that could be helpful for particular circumstances. You can also download it as an editable Word or PDF file. This needn’t be a static document. I expect we will update it periodically as we gain more experience with ADUs and the codes that govern them. Feel free to post feedback and suggestions in the Comment section below. e. Provide accessible housing for seniors and persons with disabilities. a. Garden cottages are detached structures. Examples include converted garages or new construction. b. Accessory suites are attached to or part of the primary dwelling. Examples include converted living space, attached garages, basements or attics; additions; or a combination thereof. Comment: Alternative name possibilities are listed here. 3. Eligibility. An ADU may be added to a house on any residentially zoned lot. Comment: Some codes restrict ADUs to certain zoning designations, lot sizes, and/or geographic areas within the jurisdiction. Such restrictions significantly constrain the number of eligible properties and suppress the number of ADUs that can (legally) get built under the code. 4. Number. One ADU is permitted per residentially zoned lot. Comment: Vancouver, BC allows both a garden cottage and an accessory suite on a residentially zoned lot. This has not been tested to our knowledge in the US, but seems like a promising idea. 5. Creation. An ADU may be created through new construction, conversion of an existing structure, addition to an existing structure, or conversion of a qualifying existing house to a garden cottage while simultaneously constructing a new primary dwelling on the site. Comment: It’s not uncommon for jurisdictions to limit ADUs to certain types (ie. internal or detached) or to properties where the primary dwelling is of a certain age. Such restrictions constrain ADU development, since property-specific conditions (ie. existence of basement, size of lot) often limit the type of ADU that can be created. 6. Density. ADUs are exempt from the residential density standards of this code. 7. Approval. Applications for ADUs must meet the following criteria. Requests to adjust these standards are handled through a [ ] process. a. The applicant must demonstrate that the ADU complies with all development and design standards of this section. Comment: It’s appropriate to require a land use process for adjustments to code standards. But when discretionary land use processes or conditional use permits are required for every ADU, this becomes a significant barrier to ADU development. Land use fees and process time, neighbor notification requirements, and approval unpredictability make an already expensive and challenging project even less accessible to owner-builders (see Martin Brown’s post on barriers to ADU development). In practice, many prospective ADU builders never take the first step if the code doesn’t support as-of-right development. 8. Occupancy and Use. Occupancy and use standards for an ADU shall be the same as those applicable to a primary dwelling on the same site. (ownership vs. rental), short-term rental, affordability and/or home business than would apply to a primary dwelling on the same lot result in less ADU construction. Owner-occupancy requirements make properties with ADUs unsuitable for income-based valuation by appraisers, constraining their value and making them more difficult to finance. Affordable housing restrictions on ADUs sound appealing, except that deed restrictions and tenant income screenings are (unsurprisingly) obstacles for mom-and-pop landlords (fortunately, ADUs provide a surprising amount of market-based affordable housing without subsidy or use restriction). An in-depth discussion of how these restrictions limit ADU development is provided in ADUs and Don’ts. 9. Design. Design standards for ADUs are stated in this section. If not addressed in this section, base zone development standards apply. i. Size. An ADU may be no more than 800 square feet or the size of the primary dwelling, whichever is less. Comment: In addition to a total size cap (typically 600sf – 1,000sf), some codes also cap ADUs to a certain percentage of the size of the primary dwelling. Note that such constraints effectively act as a small house penalty: limiting the size of ADUs on lots where the primary dwelling is already fairly small, but having no impact when the primary dwelling is big. ii. Parking. No additional parking is required for an ADU. Existing required parking for the primary dwelling must be maintained or replaced on-site. Comment: Parking requirements for ADUs can significantly increase costs and remove lots from consideration where it is impractical to add a parking space. A major survey of Oregon ADUs revealed no evidence that ADUs contribute to neighborhood parking problems. i. Location of entrances. Only one entrance may be located on the facade of the primary dwelling facing the street, unless the primary dwelling contained additional entrances before the accessory suite was created. An exception to this regulation is entrances that do not have access from the ground such as entrances from balconies or decks. ii. Exterior stairs. Fire escapes or exterior stairs for access to an upper level accessory suite shall not be located on the front of the primary dwelling. i. Height. The maximum height allowed for a garden cottage is the lesser of [20-25] feet or the height of the primary dwelling. Comment: Definitions of height vary from code to code. If they go to the peak of the roof, consider a higher height limit. If they go to the average height of the roof, consider a lower height limit. ii. Building setbacks. Garden cottages must be located at least six feet behind the primary dwelling, unless the garden cottage is in an existing detached structure that does not meet this standard. iii. Building coverage. The building coverage of a garden cottage may not be larger than the building coverage of the primary dwelling. iv. Yard setbacks. No portion of an existing building that encroaches within a required yard setback may be converted to or used as a garden cottage unless the building complies with setback exemptions (ie. for garages, properties abutting alleys…) available elsewhere in the code. Some cities, including Seattle, WA, Vancouver, BC, and Eugene, OR, don’t have any special requirements that ADUs match the exterior appearance of the primary dwelling. There’s a good case for this, especially since ADUs represent a sizable investment and builders have plenty of market incentive to make them look appealing and appropriate for the neighborhood. Design compatibility requirements often single out ADUs while offering no such constraints on other types of accessory structures (ie. garages, art studios…). For these reasons, compatibility guidelines are not included in this model code. iii. Exterior finish materials. Exterior finish materials must visually match in type, size and placement, the exterior finish materials of the primary dwelling. iv. Roof pitch. The roof pitch must be the same as the predominant roof pitch of the primary dwelling. v. Windows. If the street-facing façade of the ADU is visible from the street, its windows must match, in proportion and orientation, the windows of the primary dwelling. vi. Eaves. If the primary dwelling has eaves, the ADU must have eaves that project the same distance from the building. If the primary dwelling does not have eaves, no eaves are required for the ADU. b. Meet Community Design Standards, defined elsewhere in the code. Comment: These exceptions provide design latitude for smaller garden cottages and an alternative path in cases where the primary dwelling is ugly and/or out of character with neighboring homes. 2. Alteration. If a garden cottage is proposed for an existing detached accessory structure that does not meet one or more of the standards of Sections 9.a.iii.-vi., the structure is exempt from the standard(s) it does not meet. Alterations that would move the structure out of conformance with standards it does meet are not allowed. If any floor area is added to a detached accessory structure, the entire structure must meet the standards of Sections 9.a.iii.-vi. Although not typically included in zoning code language, the way building permits and impact fees (sometimes called ‘system development charges’) are calculated for ADUs can have a big effect on how many get built. This is especially true if such fees represent a significant percentage of the total project cost (particularly likely with relatively inexpensive ADU conversions). Finally, high fees can steer ADU development ‘under the radar screen,’ where there’s no permitting or inspection at all – and a greater likelihood of dangerous life/safety conditions for residents. Prepared by Eli Spevak, with special thanks to AccessoryDwellings.org co-editors Martin Brown and Kol Peterson, Jordan Palmeri, and Ben Schonberger for their assistance with this project. In assembling this code, we borrowed language and structure from multiple ADU codes including Portland, OR and Grants Pass, OR. Thanks for your comments, Bryce. We don’t really have a guide for activism, as mostly this site is informational and educational. If you want your town to encourage the creation of ADUs, this model code suggests a direction they should go. Also for perspective on some of typical “pro” and “con” arguments about ADUs, you might refer people to this post about ADU research, as well as the material that backs it up. Hope that helps! One idea would be to contact your local permitting office and find out how often people use that code to develop ADUs. Per the regulation, “The intent of this regulation is to encourage the creation of accessory apartments in existing single-family residences for the purpose of providing rental housing for the elderly, single persons and small families….” If quite a few are being developed, there might not be much motivation to change anything. But if almost no one uses it, as I suspect might be the case, there might be motivation to revisit the fairly long list of hoops a would-be ADU builder has to jump through as the code stands today. Hello! What are the laws around mailing addresses with ADUs? If I am renting an ADU, am I required to have a separate mailing address? I am renting the back unit of a house, and don’t want to share a mail box with the front unit. What do you suggest? In Portland, at least, the city assigns a separate address for ADUs (i.e. the house might be 4657 and the ADU is 4657B), which gets communicated to USPS (I’m not sure exactly how). How mailboxes are physically set up on site is mostly up to the property owner, subject to the caveat that USPS almost certainly won’t want to send letter carriers into a back yard to deliver mail. Best solution might be to just leave the mailbox for the main house however it currently is set up and add a new one nearby for the ADU, labeled with the ADU’s official address. Hello from Whidbey Island. We are continuing to work on this issue and I’m curious if you have any recent research as to what other local governments are charging for impact fees. Portland, OR has been waiving impact fees on ADUs for about 7 years now, which has undoubtedly served as a stimulus to creation of ADUs there. But I suspect this is the exception, not the rule – and unfortunately don’t have much info. from other cities. This entry was posted on November 25, 2014 by Eli Spevak in News, Policy & Trends.